Swiss-made excellence for elite performance. The choice for Navy SEALs, the Coast Guard and underwater divers can also be yours. Durable, reliable construction. Water and shock resistance. And self-powered visibility that's ALWAYS on so you always know what time it is. No charging. No button-pushing. No cheap fluorescent paint. The self-powered illumination is made possible with micro gas light sources. The glowing tritium gas is surrounded by a phosphorescent powder layer and then housed in heat-resistant glass. Each light is carefully placed on the hands and dial. And the constant glow each emits is always visible…for up to 25 years. 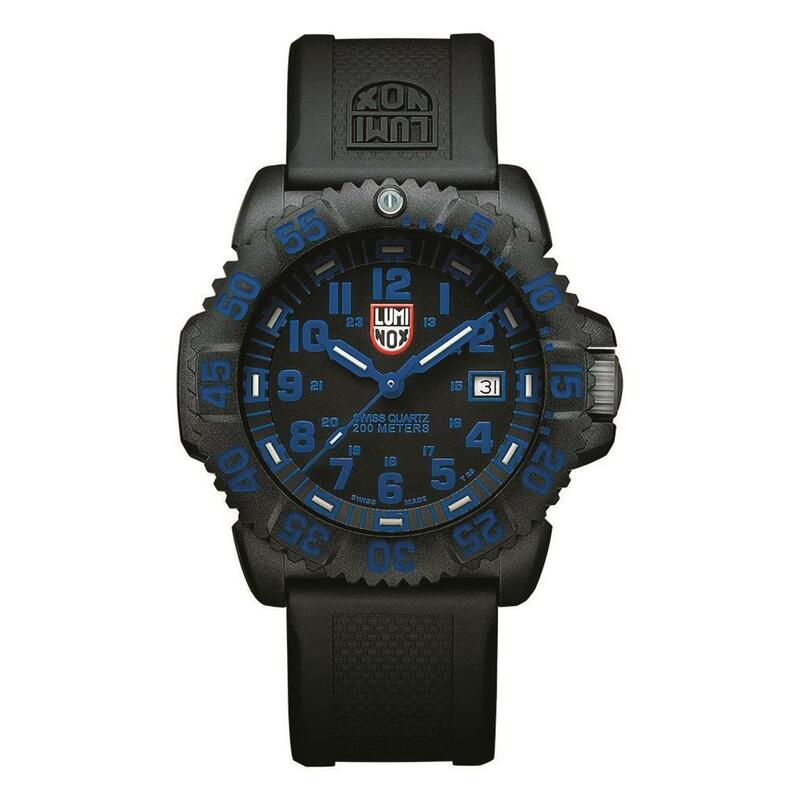 Luminox® is selected and requested by the world’s toughest maritime commandos to continuously hone and refine a watch tough enough and useful enough to be considered “first line gear” for the finest warriors. A tempered, scratch-resistant mineral crystal face; carbon-reinforced exterior; and polyurethane strap with stainless steel buckle combine for premium design and dependability to wear at work or play, in the rain or underwater. 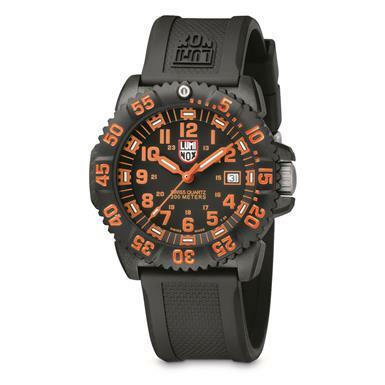 Essential gear for YOU.…get your Luminox® Watch today! 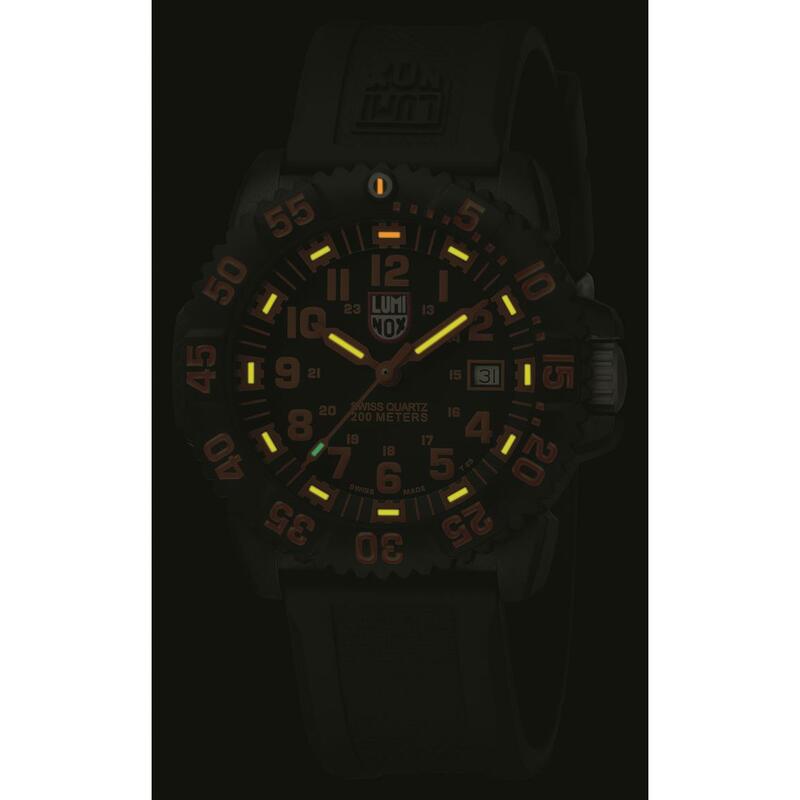 Luminox Mens Navy SEAL Colormark Watch is rated 4.3 out of 5 by 4. Rated 3 out of 5 by Etowah from Looks Like Made in CHINA VS, Ssitzerland ! Received this watch today, and I am very dissapointed in the "Tritium Always On Display". It is SO DIM you can BATELY SEE IT, and contrary to the night displays shown upon this webpage :https://www.sportsmansguide.com/product/index/luminox-men039s-navy-seal-colormark-watch?a=2148137The display at the start mark of the timer on the ratcheted outer bezel, has ABSOLUTELY ZERO DISPLAY, rendering it impossible to TIME anything in darkness...and that was the main reason I paid $175 for this "Chineese Junk". Rated 5 out of 5 by Stacy from Good Value Great watch date could be a little easier to set. 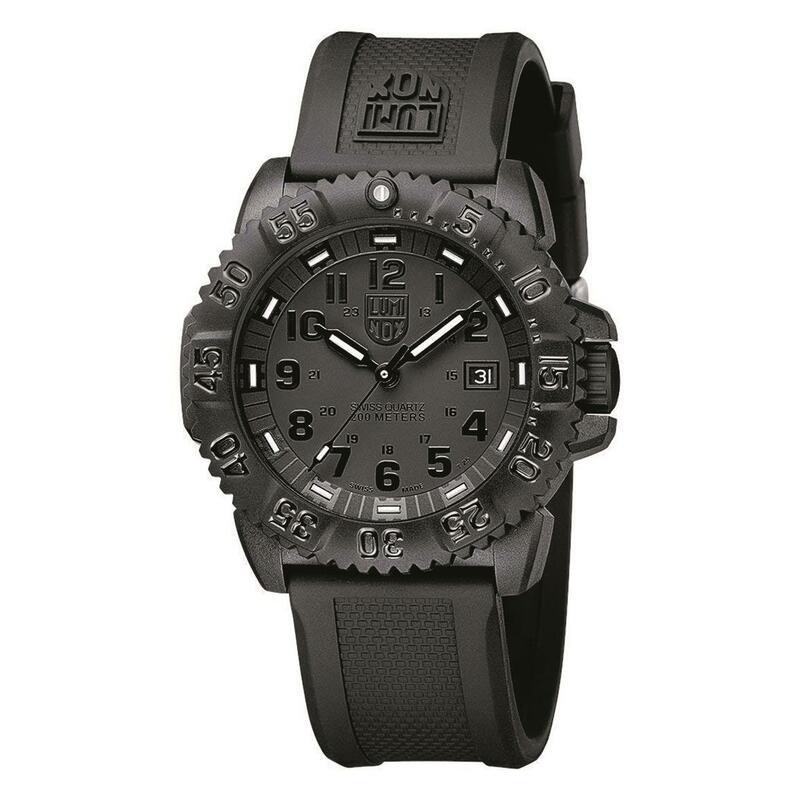 Rated 4 out of 5 by knightman from luminox Overall its a nice watch. The only thing I was disappointed about was that the hour and hand tritium markers weren't as bright in the dark as the illustration showed. But I'll live with it . Rated 5 out of 5 by Rance Gearhardt from never late Got this one for Christmas. It glows quite well and now when I wake in total darkness, I can see what time it is to the second, as it glows too. I like the Seal Trident engraved into the back cover, the band goes on and off with one hand real easy and is very comfortable. It keeps the watch where you put it and does not slip around your wrist. Worth the price, as they cost more elsewhere.